The Christmas decorations are slowly making their way out of storage. I have ordered a new white unlit tree. I'm done with prelit trees from companies that promise if one light goes out the rest will stay on - oh and impossible to remove from the tree once they quit working, but I digress. I stopped by one of my favorite stores, Bella Patina, last week and picked up this trio of trees for my mantel. The largest jar is about 5" so imagine how small the other two are. I love supporting local small businesses. Check out Bella Patina's amazing pinterest boards here. Have a blessed day! I to have experienced the pre-lit tree saga! Love your adorable little trees! They are very sweet. 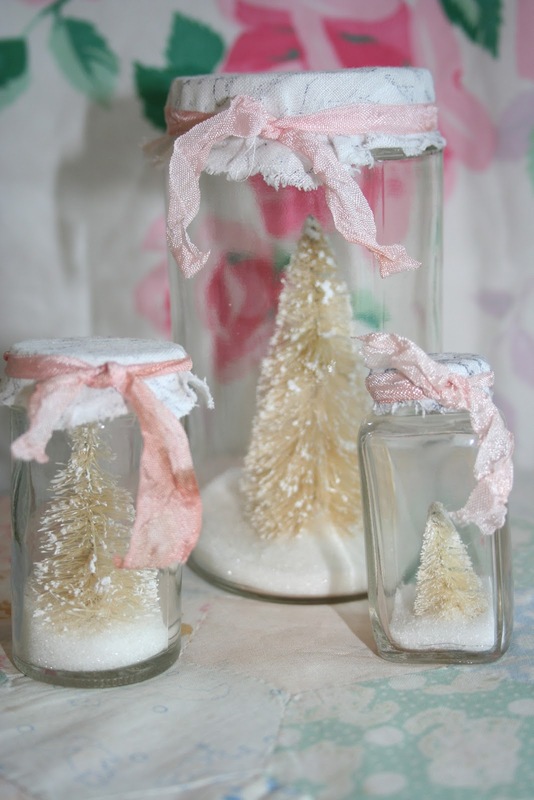 The tree jars are darling and will be beautiful on you mantle. oh, those are super cute! Your little trees are gorgeous Renee. I love them!